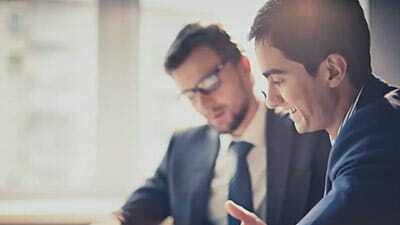 sharedserviceslink and Kofax conducted a survey with over 70 finance and shared services professionals in the UK and Ireland to examine what difference a single ERP makes when it comes to Procure-to-Pay. The results of this survey were presented by sharedserviceslink in a 1 hour webinar. Digital transformation is a journey, not a destination. Each organization evolves at its own pace, but is the journey ever truly over? 451 Research shares their view on the exploration of mobile and digital transformation on this engaging webinar. The Kofax Kapow robotic process automation and integration platform fuels your company’s digital transformation, delivering immediate ROI while paving the way to longer-term process automation success. The latest generation of document process automation systems are optimized for complex activities, proving to be an excellent fit for end-to-end processes like purchase-to-pay, order-to-cash and record-to-report. 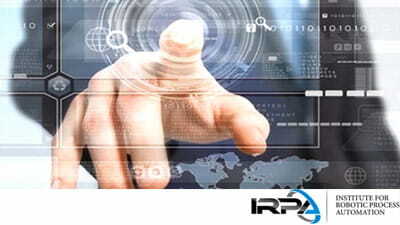 View this webinar for the latest trends in automation solutions for financial processes. 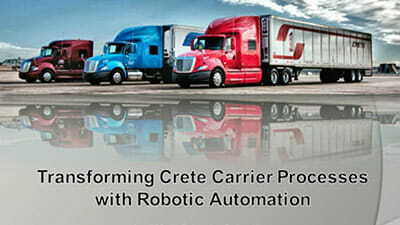 Download this on-demand webinar to learn how Crete Carrier has deployed several hundred "software robots" through a no-coding integration and automation approach to automate many business activities that are core to their logistics operations and business interactions that span internal systems, websites and partner portals. Watch this webinar and learn about the role RPA is already playing in transforming core banking processes. Hear about real-world implementations and how RPA eliminated manual tasks in mortgage lending, client onboarding and compliance processes such as Know Your Customer (KYC) and Bank Secrecy Act (BSA)/Anti-Money Laundering (AML) regulations. Banks, credit unions and insurance companies may have differing business models, but they all have a common goal: better conversion and retention rates. Better customer onboarding usually translates to better conversion and retention. For this reason, organizations continue to invest in digital technologies to streamline operations and eliminate time-consuming online interactions in areas such as new account opening, loan origination and policy applications. Discover how to improve your digital transformation initiatives with e-signatures and check fraud prevention in both front-office and back-office operations. Learn how to prevent check signature forgery and derive value and ROI from a combined e-sign and check fraud detection solution. 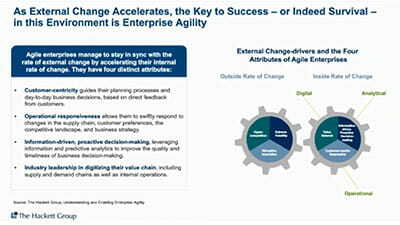 Companies need to transform their business processes, not just improve them. They need to go from mobile enabled to mobile centric. But how do I do this without replacing what I already have? How do I better support mobile customers and staff? Where do I start? Doing more for customers: The opportunities for going above and beyond the traditional role of a bank. Kofax and Marketforce's webinar discussed how the "Generation Selfie,",shaped by the personalised and meaningful interactions pioneered by the likes of Amazon and Netflix, has increasingly high expectations of its banks.